They're talking about ReactOS 0.4.11 (even if we're just Alpha) You're just a click away from discovering a new alternative! ReactOS is a Free Community	Opensource Collaborative Compatible	operating system. 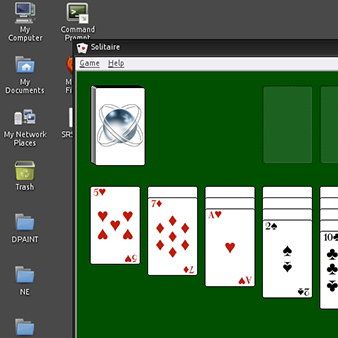 This is not Linux mimicking Windows. Have contributed along the years. Classical and ReactOS Lautus styles. From Games to Drivers: Open Source and Free. 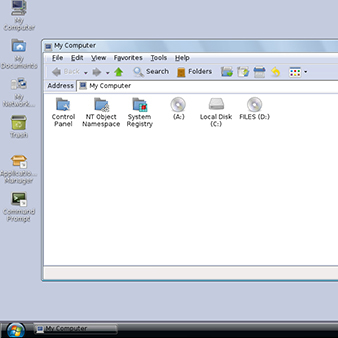 ReactOS looks like Windows and nowadays is able to run many Windows applications. Our Daily Builds have the latest fixes integrated. A nice option if you don't want to wait 'till the next official release! The best way to have your application or piece of hardware supported is to properly report bugs. Fast and easy! 6,000,000 downloads in 100 countries. And tons of references. All work is merged into gsoc2018_all branch in my ReactOS fork on GitHub. A pull-request can be found here and unified diff is here. You can check it out like an ordinary ReactOS repo and build it as. See official Building Instructions for full information. Basic read-only support has been implemented in the “FreeLoader” bootloader. The implementation is able to do path traversing, can handle hard and symbolic links and reads files splitted to several extents. Only single-disk uncompressed setup is supported right now. Other WinBtrfs features can be added once ReactOS will support them. A couple of bugs were found in WinBtrfs driver during testing. One is related to NtQueryDirectoryFile kernel function, which returned wrong information under some circumstances. Another one is about driver behaviour upon system shutdown. The driver tried to free its structures too early and that led to occasional BSODs. Both fixes were sent upstream (PR#102 and PR#103) and are waiting to be merged. Not only driver issues were found during testing of BTRFS boot. Another bug was found and fixed in FastIO code, which is not used within the FAT file system. This small fix made WinBtrfs work in a much more stable way, and other third-party drivers can benefit from it too. There is also a memory leak which I was not able to triage before the GSoC ending. This leak prevents ReactOS self-hosting on BTRFS filesystem (because checking out the source code and building binaries requires a lot of IO). I’m going to fix it after GSoC ending. Windows 2003 still has issues with booting from BTRFS using FreeLoader. This is the only goal which has not been reached during this GSoC. But this is not the end, I will fix it later, of course (see news from the upcoming Hackfest). 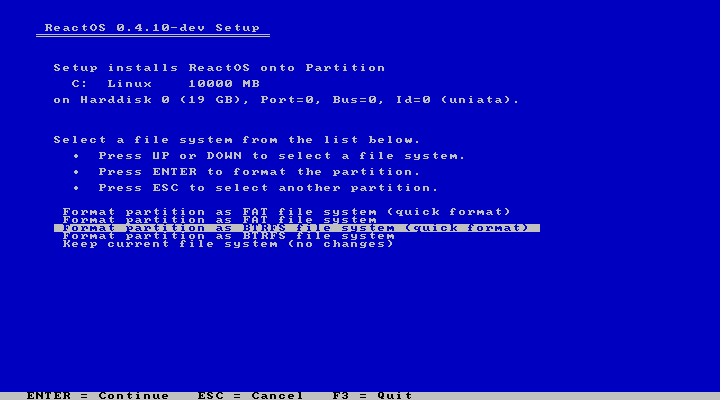 There are still issues with BTRFS on ReactOS (see memory leak above), so it is not yet as stable as the FAT filesystem. First of all, I thank GSoC that gave me an opportunity to work with such great team. I will definitely stay with ReactOS project and will continue kernel development here. 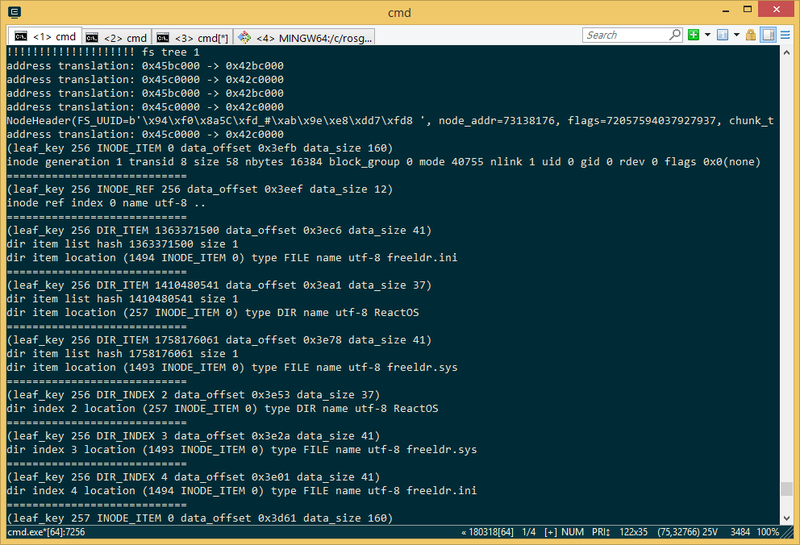 Freeloader is now able to read files and follow symlinks from btrfs partition. One major issue is left here - case sensitivity. BTRFS is case-sensitive file system, so paths like /ReactOS/System32, /reactos/system32, /ReactOS/system32 are different here. But in Windows world most software is written assuming that case does not matter during path lookup. This thing is solved in WinBtrfs driver, but for Freeloader it can be a bit tricky. Right now I’ve implemented a hack for this, we will handle this later. 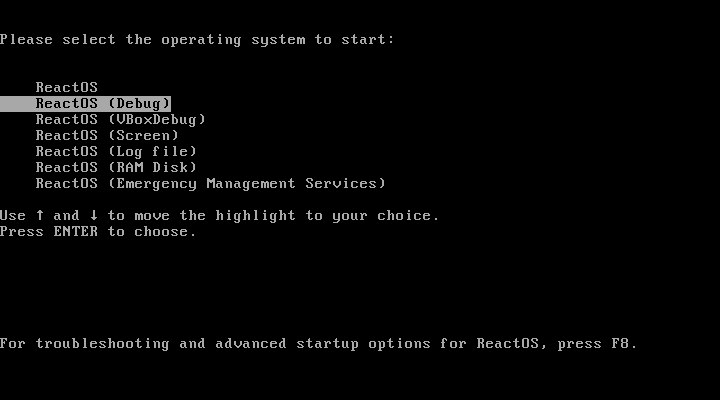 Now it’s time to fix errors in ReactOS itself, not in bootloader. This message was not obvious to fix. The exception, which caused this error (STATUS_ACCESS_VIOLATION), lead me to winsxs code, which is mostly imported from Wine. But finally, I’ve found the reason - it’s a bug in WinBtrfs driver. It works wrong when using NtQueryDirectoryFile with a file mask, which starts with the "*" symbol. Our winsxs implementation heavily relies on this function and makes queries like "*_Microsoft.Windows.Common-Controls_6595b64144ccf1df_6.0.*. *_*_*.manifest" to find appropriate manifest when needed, so it failed quite early because of this bug. A pull-request to the upstream repository with a bugfix is here. First version of the fix had issues - there are some graphical glitches in taskbar. Never know what troubles winsxs bugs can cause! Pagefile cannot be created on such partition. Our paging implementation is different from Windows one and requires extra functions in FS driver to be implemented. Errors during some write operations. For example, it is not able to install Git right now. Will need to investigate this. More PRs to upstream are expected next week.